Welcome to Hartley-by-the-Sea in England’s beautiful Lake District, where two sisters who meet as strangers find small miracles tucked into the corners of every day…. 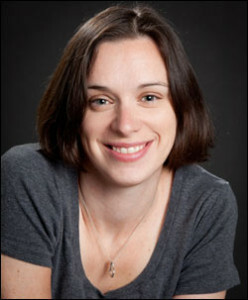 Kate Hewitt is the bestselling author of over 40 novels of romance and women’s fiction, including The Emigrants Trilogy set in Scotland and North America, the Hartley-by-the-Sea series set in the Lake District, and Tales From Goswell written as Katharine Swartz. She lives in England’s Lake District with her husband and five children. 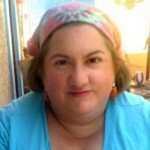 You can read about her experience as an ex-pat living in a tiny village on her blog, www.acumbrianlife.blogspot.co.uk. In any case, this novel was full of delight. Lucy shows up on the doorstep of her sister’s – well, basically it’s a B&B – invited, but lost in the world. She’s an artist whose career was just tanked by her own mother, and her sister, Juliet, has invited her to come get a fresh start in her quaint English village. At first, I was annoyed by both sisters – Lucy seemed to choose to be helpless and Juliet was far too prickly, but as I got to know the characters better, I realized they were much more than those initial impressions. Lucy is creative, plucky, outgoing and optimistic. Juliet is methodical, more introverted, almost compulsively organized. Together, they make a formidable pair as they work from being relative strangers to becoming true sisters, and also experience love, friendship, and belonging in the village itself. Author Hewitt has a knack for dialogue, description and characterization, and I felt a really strong sense of place. The plot was well-paced and the story enjoyable. I would happily read more of her work, and even more happily spend a week or so in Hartley-by-the-Sea. Goes well with hot tea, warm scones, and clotted cream, obviously. 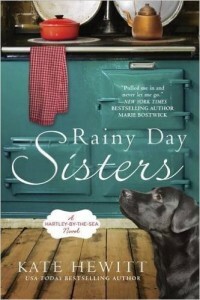 Rainy Day Sisters by Kate Hewitt (@KateHewitt1) #review by Melissa Bartell is licensed under a Creative Commons Attribution-NonCommercial-ShareAlike 4.0 International License.